Assorted Uzi Water Guns for when you mean serious business. The UZI Water Squirt Gun is the only way to go! 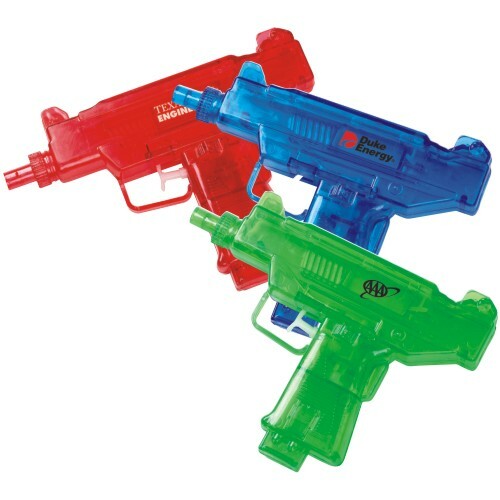 Shoot your custom printed logo or message around with these fun and exciting water guns! Great for kids, but adults love them, too! Bulk / 45 lbs / 150 pcs.